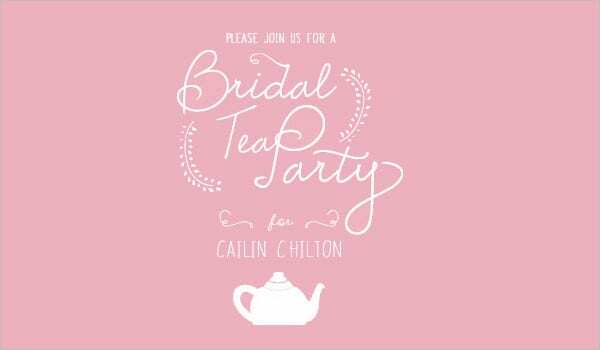 Looking for striking invitations to use for the bridal shower you are throwing? 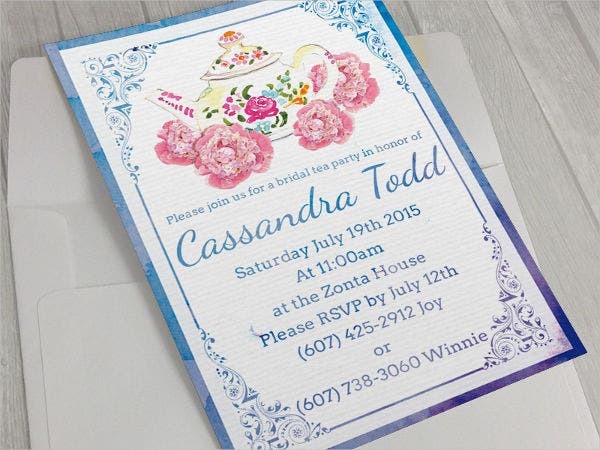 Want classic and enticing designs that will surely wow your guests? You have come to the right place. 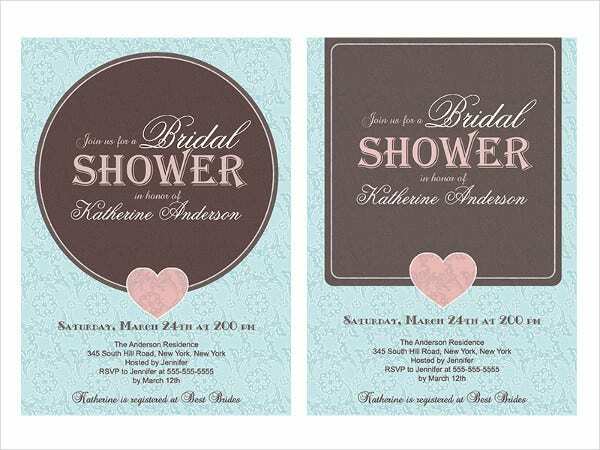 In our website, we here provide for you plenty of Bridal Shower Invitations that you can check out. 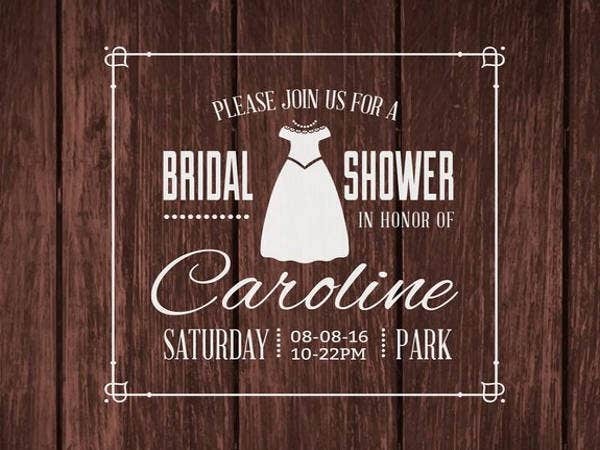 Orginated from the United States in the 1980s, this party is to provide goods and financial assistance for the wedding to occur. 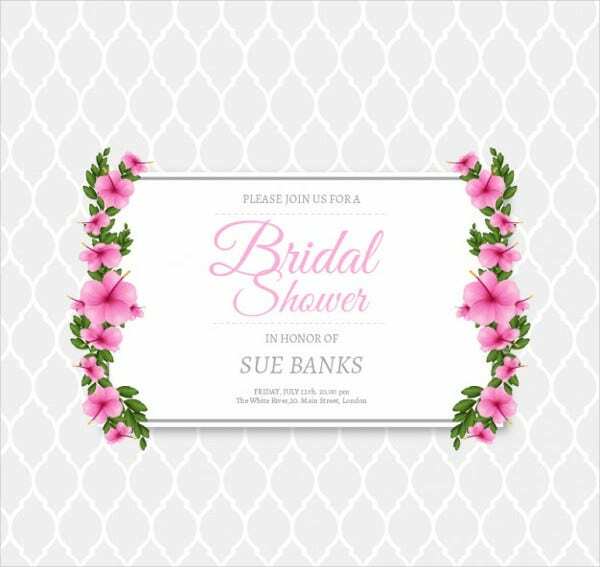 A bridal shower is an event that is commonly thrown by the bride-to-be’s close friends or bridesmaids held for the preparation of the wedding. 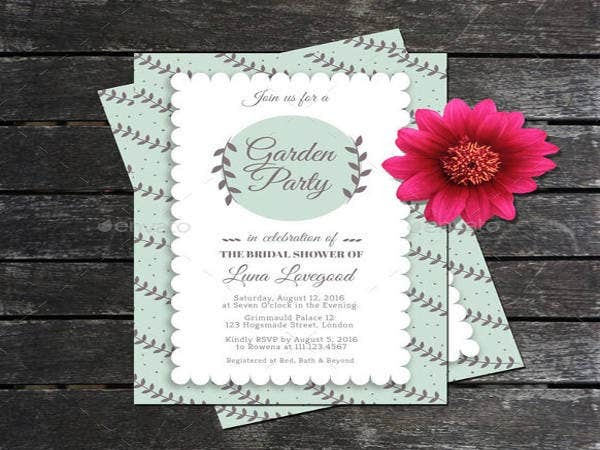 So if you are such friend or member of the entourage, check out these invitation templates that may match your taste to use for the party. 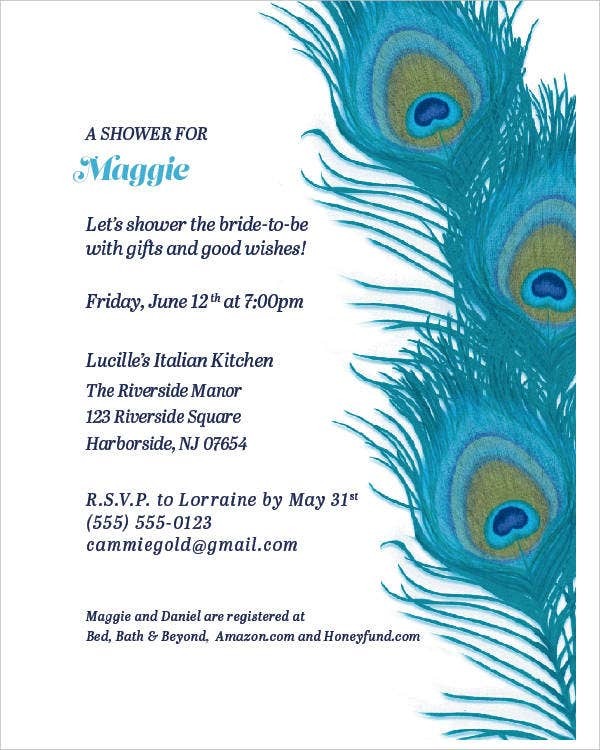 Bridal Showers are usually held in the afternoon or in evenings and takes place about three to six weeks before the wedding. It is a rather significant day for the woman since she is celebrating the last of her days being single. 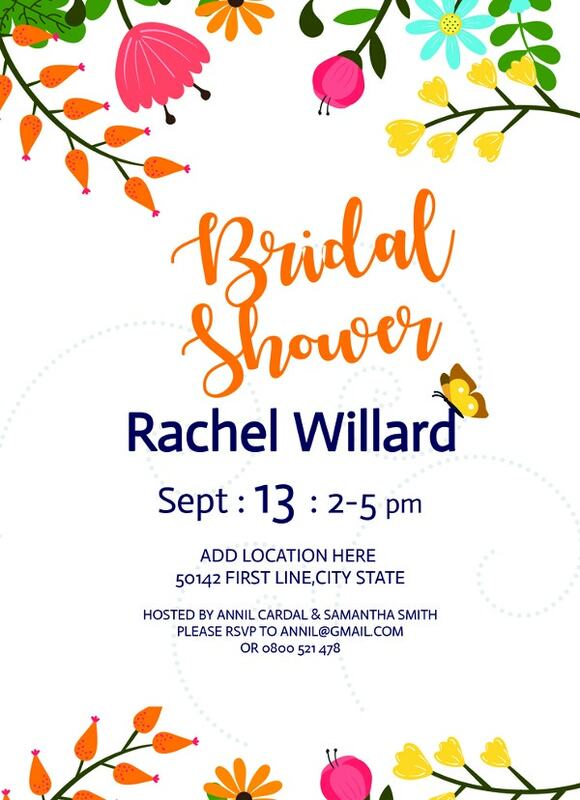 As a result of past celebrations of the event, bridal showers have been known to be spontaneous and informal and had not developed the formal etiquette that weddings uphold. Vintage. The beauty of vintage is that it goes well with almost any event, and bridal showers are no exception. Celebrate and spend the night of your lives with a vintage feel. Garden. 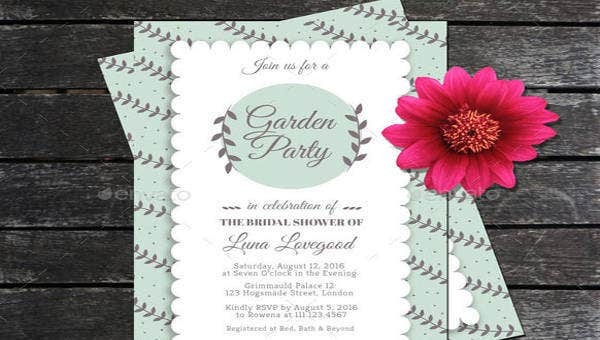 To embrace the feminine feel of bridal showers, gardens can be a good party venue as you dine and savor the moment with friends surrounded by the beautiful, colorful gifts of mother nature. Tea party. Remember those days when the only guests of your tea party as a child were your favorite stuffed toys? Now you can throw your own tea party with real live guests that actually eats your finger sandwiches. 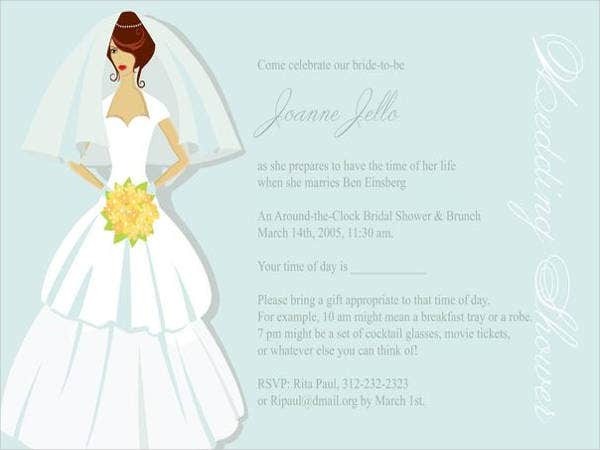 Apart from the variety of Bridal Shower Invitation templates that we have provided for your efficiency, we also offer some Wedding shower invitation templates that you can check out. can serve as an admit-one ticket to be able to attend such event. Another question you may ask is, why use our templates? These templates are general and can be used multiple times. These templates save valuable time that could be used elsewhere. These templates are high-quality samples. These templates ensure consistency of design. These templates can be used can be shared electronically or printed. 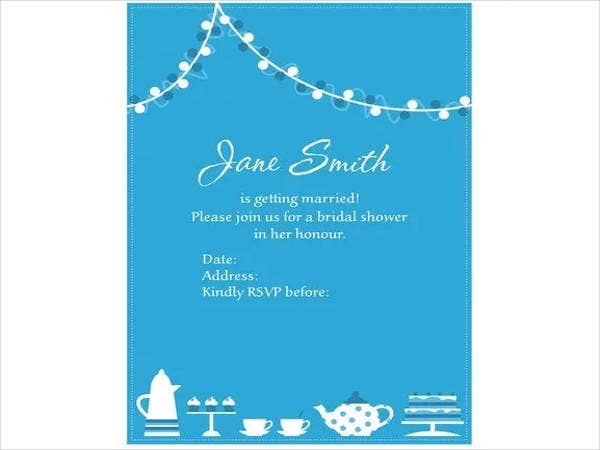 Upon choosing which invitation tickled your fancy, worry no more on which type of invitation design that goes well with your bridal shower party theme so you may focus on other components that may be need your attention to be able to throw the grandest party ever. 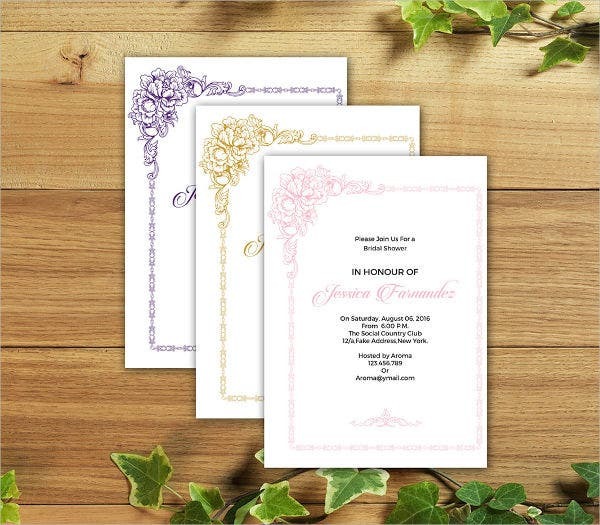 We also have some other themed invitation designs such as fall wedding invitation templates. Check them out now!